Having an online store is an accomplishment in itself. Whether you started as a brick and mortar or just introduced your brand and products to the world, having an E-Commerce store will take your business to the next level. However, achieving your business goals will take some effort on your part, and marketing is the best way to reach new customers and keep return customers coming back for more. We’ve made a list of our top 9 marketing tips for your PC store below. 1. Social Media – If you’re not on the social media bandwagon by now, it’s time to join. According to BrandWatch, there were 2.3 billion active social media users in 2016, including 400 million on Instagram, 1.71 billion on Facebook, and 320 million on Twitter. Social media is a great way to increase your brand’s online presence, and introduce your new products, collections, and inventions to the world. With continuous new developments in pay-per-click advertising through social media, as well as advanced audience targeting, social media can help you drive more potential buyers to your online store, resulting in more sales. It’s also a great way to announce sales, holiday events, etc. Facebook and Instagram have even rolled out special “Shopping” capabilities where buyers can purchase products right from the social media platform itself. 2. Cross-Selling – Do you ever shop online for one thing, then find yourself with a cart full of products an hour later? We certainly do. Cross-selling is the easiest way to show customers more products at one time and keep them on your website longer. Cross-selling allows you to be a personal shopper for your customers, showing them related or complimentary products that go along with the item their currently viewing. In our experience, cross-selling can double, triple, or quadruple your average sales revenue, and all it requires from you is time. Each time you add a new product to your online store, make sure to add AT LEAST 3 related products in the cross-selling section. 3. Discounts and Coupons – Everyone loves a sale. Sales make customers feel like they’re getting more value for their money, and who doesn’t want that? Offering sales, discounts and coupons on products can help you get sales from customers who may be looking to get the most bang for their buck. These are especially effective around major holidays, when people are already in the shopping mood. Plus, when your products are discounted, customers will likely be willing to purchase more items, often resulting in a larger total purchase than they would’ve spent on just one item (see #2 Cross-Selling). You can also encourage larger purchases by offering free shipping on orders over a certain dollar amount. 4. Email Marketing – As much as we have a love/hate relationship with our email inboxes, it is still one of the most effective marketing tools out there. Informing customers about sales, new arrivals, products coming soon, etc., will keep your brand top of mind. Designing effective emails takes some practice, and learning to create click-generating headlines and images sometimes requires professional help. However, the results are more than worth it. 5. Loyalty Program – Loyal customers will become your business’s best friend. However, loyalty isn’t built in a day. Offering your customers rewards for continuing to do business with you will build their affinity for your brand and website. Not only are repeat customers more likely to purchase items, but they can also be a resource for referrals. Now that social media has become so popular, your loyal customers will be more than willing to share your posts with their friends and family. Customer service is the biggest factor in gaining customer loyalty, so make sure you’re taking care of your current customers before trying to generate new ones. 6. Be Visually-Minded – The new generations of Internet users are all about fast results. People these days rarely take the time to read entire descriptions or articles online (aside from this one of course), so the images on your online store are crucial. Since your online customers can’t actually touch and feel your products, you need to provide them with good quality images from a variety of angles that will make them feel confident in ordering your items. The same quality needs to be carried over on all your marketing platforms, including email, social media, etc. 7. Newsletter Sign-Ups – Newsletters are a great way to keep your brand in people’s inboxes. To get sign-ups, create a Call-To-Action on your website that will entice people to give you their name and email. Building a large customer list will benefit you in future marketing endeavors, and allow you to reach people who you KNOW already like your brand. Newsletters are also a great way to offer “exclusive” deals to loyal customers. 8. Ask for Reviews – While most people tend to only leave reviews when they’ve had a bad experience with a company, most happy customers are more than willing to leave a great review for you, so long as you ask. Happy customers may be so busy enjoying your product, that they forget to drop you those 5-stars on Google or Facebook, so it’s your job to remind them. There’s no shame in asking for reviews. If your customers like your business, they will be excited to help you continue to grow by leaving a review. Asking can be as simple as a phone call, email, or Facebook comment or message to someone you know was happy with their purchase. If an incentive is needed, try offering an extra $5 off their next purchase for leaving a review. 9. Be Responsive – Marketing is a two-way street: you put out content, and customers respond by going to your website. However, the interaction should not stop there. 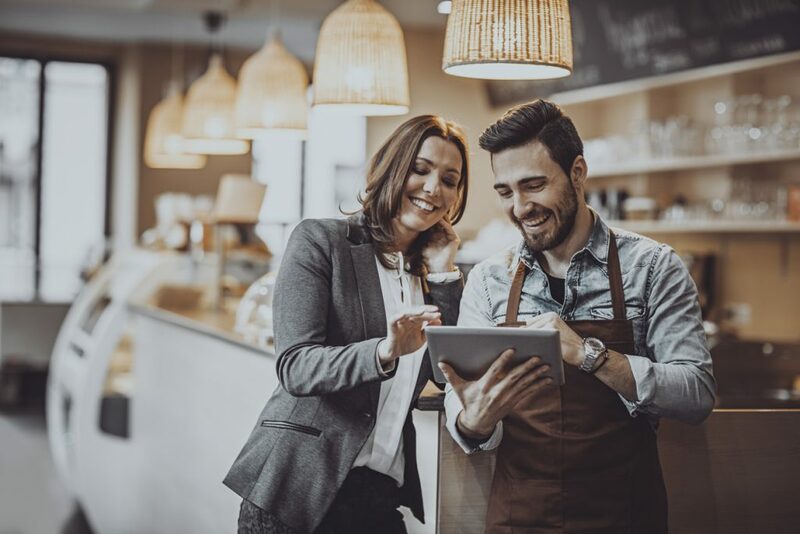 Staying engaged with your customers will help you stand out among the Amazons or Walmarts of the world (no offense), who have so many customers they don’t have time to really connect with their customers. If you’re doing social media marketing, make sure your checking all your pages at least once a day and RESPONDING to customers when they have questions, comments, or issues. The same goes for comments left on your blog, emails received, or phone calls. There’s nothing worse than leaving a customer hanging when they try to reach out to you for help. Keeping up with customer interactions is time-consuming, but it is absolutely worth it. If you run your online store by yourself, you may consider hiring someone to help you manage your online customer relations. ProductCart specializes in Ecommerce tools for serious online businesses. Whether you already have an online store, or are ready to take your brick & mortar to the digital world, ProductCart has a solution for you. Aside from helping you develop and customize your unique online store, our partner company, NetSource Technologies has a team of online marketing experts who can help you achieve all 9 of the tips we just shared. Our specialties include Social Media, PPC, Search Engine Optimization (SEO), Content Generation (blogs and email), and much more. If you’d like to a ProductCart expert about your online store, call 1-800-709-3240 or click here.